Our “Bigs” are getting tuned up for the 2019 golfing season! 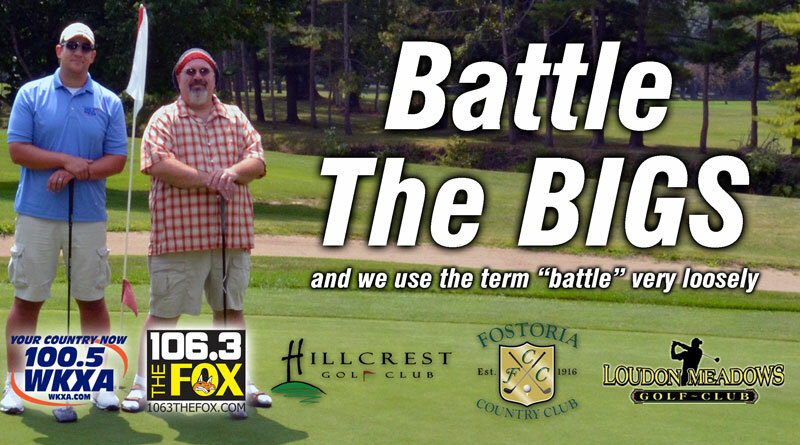 You and a friend can battle “The Big Kahuna” from 106.3 The Fox and “Big Dave” from 100.5 WKXA at your choice of Fostoria Country Club, Loudon Meadows Golf Club in Fostoria, or Hillcrest Golf Club in Findlay. To get signed up complete the form below and we’ll get you in the running.